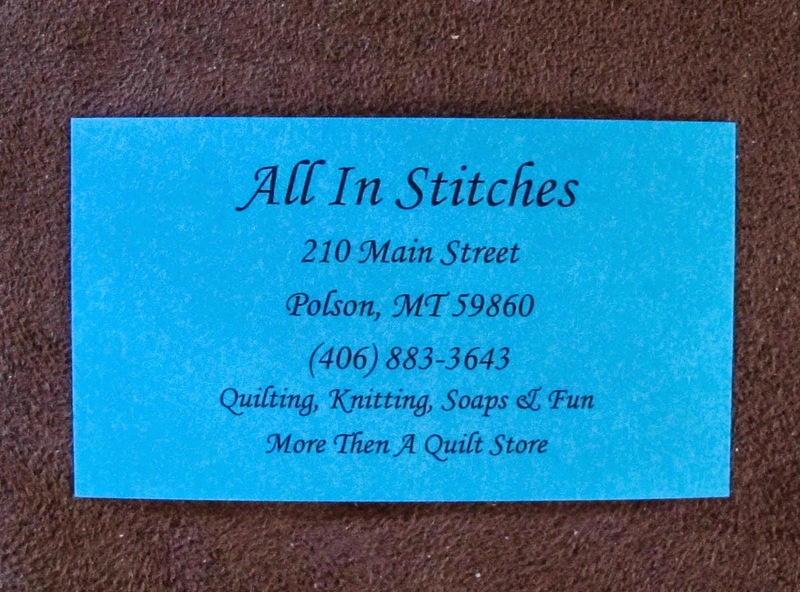 Polson, Montana - located on the southern tip of beautiful Flathead Lake and home to All In Stitches Quilt Shop. We were spending the day driving around Flathead Lake and had stopped for a picnic lunch along the lake shore at a city park in Polson. 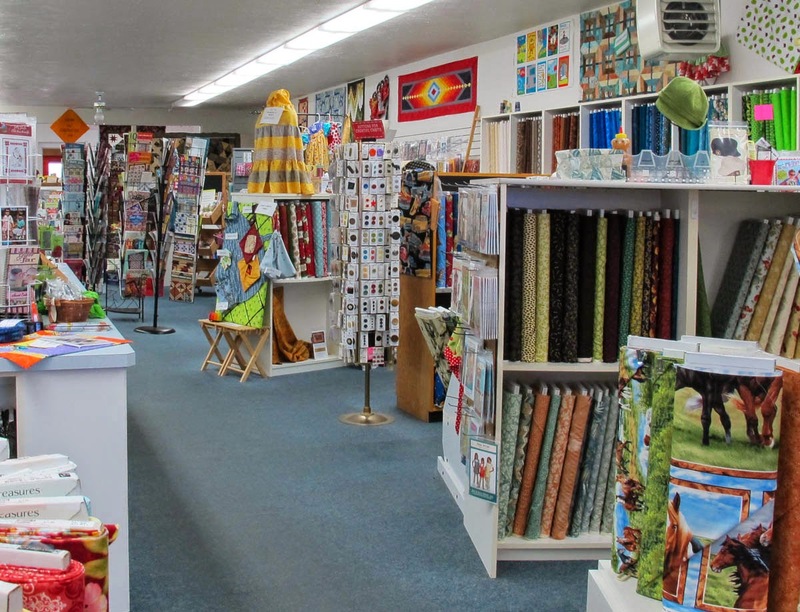 Checking the internet for "quilt shops in Polson" turned up this lovely shop. 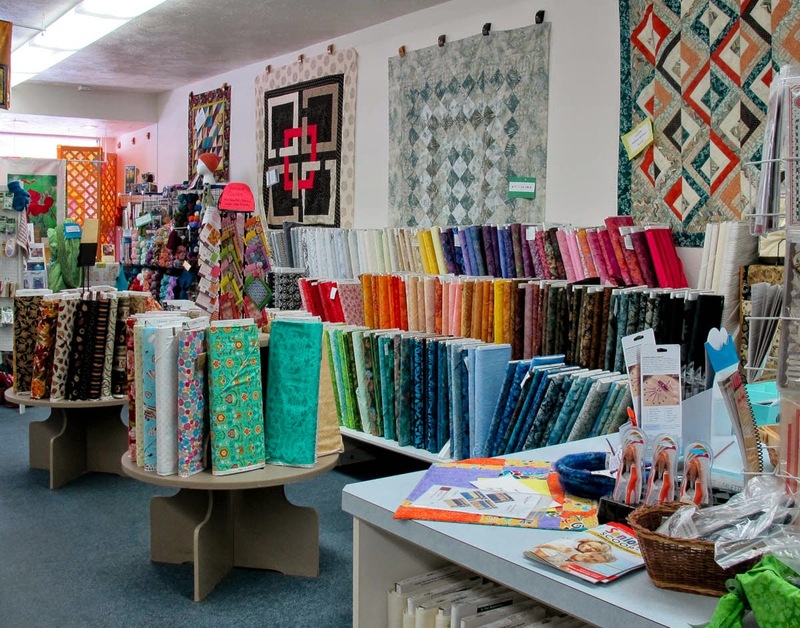 Later I also found them in the 2012-14 Quilters Travel Companion. The shops friendly manager . There was instant appeal for me as I am always attracted to bright colors and lots of variety. 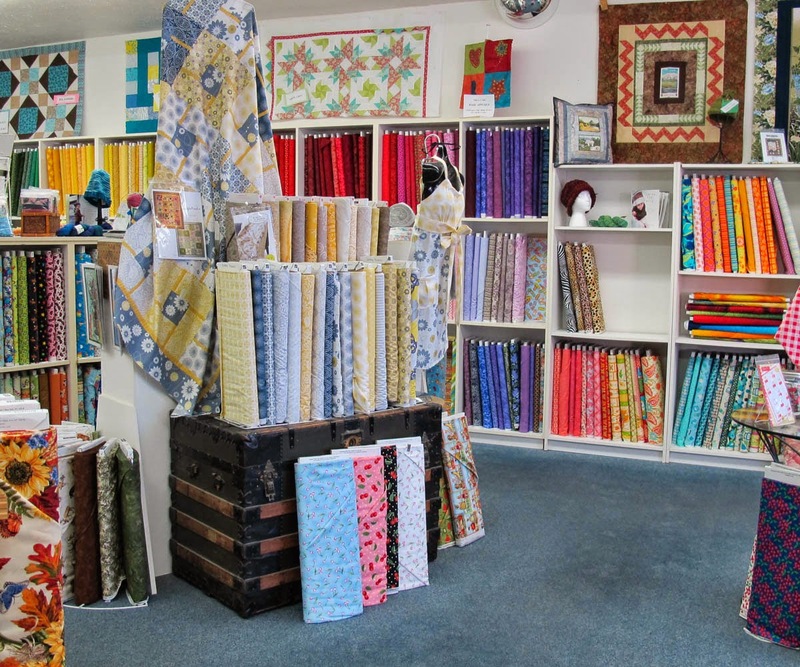 Also, the shop lighting was excellent making it easy to browse the shelves of fabrics. 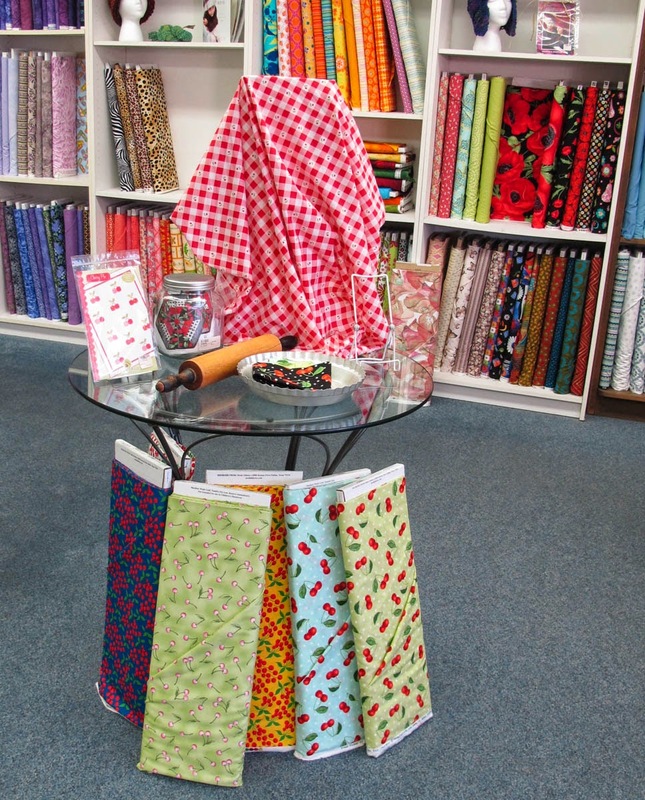 Besides fabrics, they offer books, patterns, notions, tools and classes. 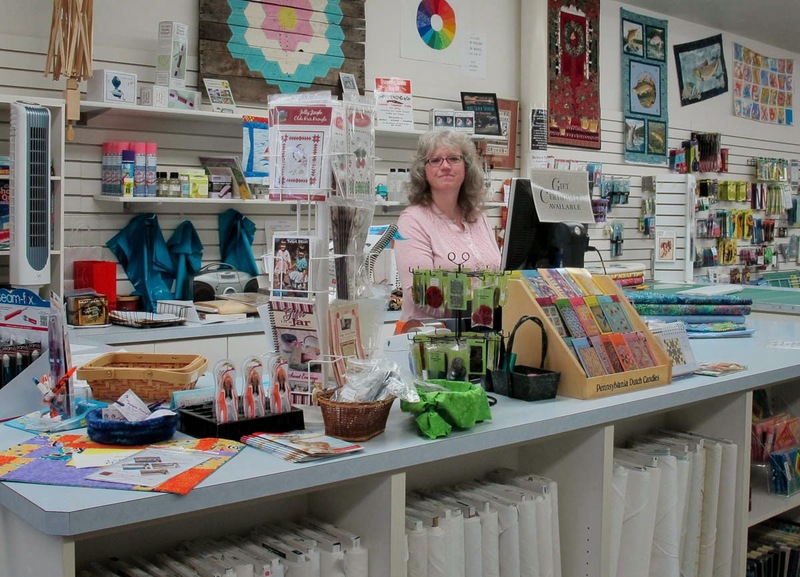 Over the years the shop has expanded to offer a variety of classes and sewing groups and is a gathering and sharing place for local needlework lovers. Antique trunk used for fabric display. 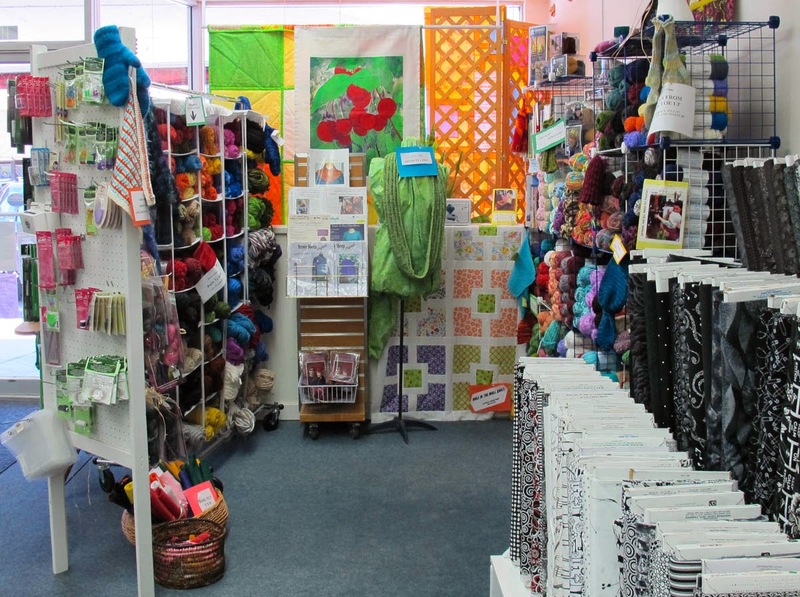 This colorful yarn nook is stocked with lush knitting yarns and the supplies for using them. High quality and hand dyed yarns. 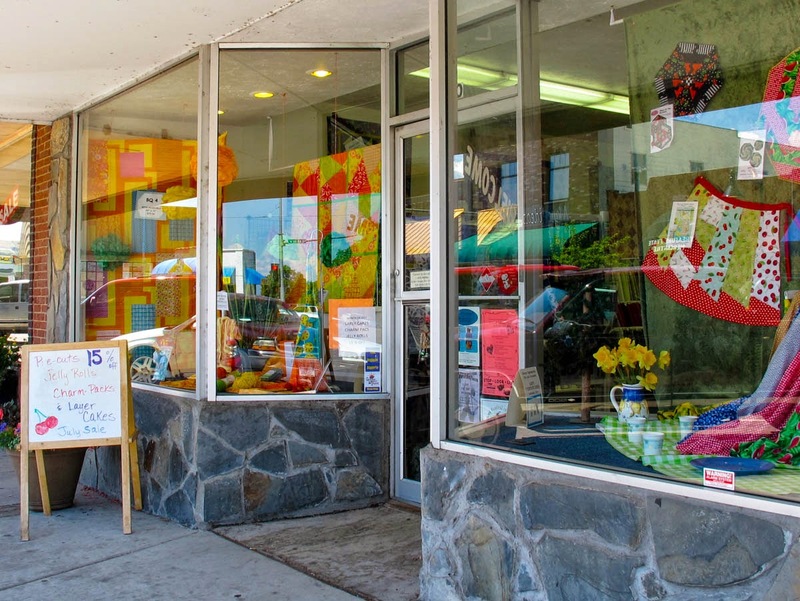 and be sure and stop in when visiting in the Glacier Natl. Park area.